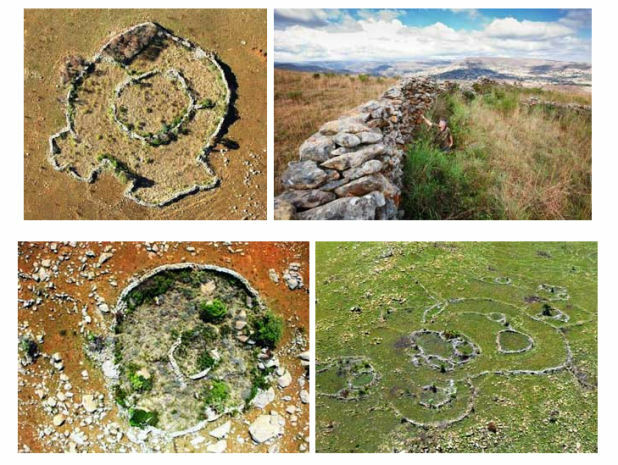 A giant stone city was discovered in South Africa, approximately 150 km west of port Maputo, Mozambique. By calculating the erosion rate of the dolerite, it became possible to assess the age of the site. It was estimated that the 1500 square-kilometer metropolis was constructed between 160,000 and 200,000 years ago! The ruins consist of huge stone circles, most of which are buried in the sand and can be seen only from the air or with the help of satellite imagery. It is believed that this ancient city is part of an even larger structure of 10,000 square kilometers. The organized nature of this ancient community and a road network connecting it to the terraced agriculture suggest that the metropolis was home to a highly advanced civilization. The geology of the site is quite interesting too because of the numerous gold mines located in the area. According to researchers, this ancient civilization could have practiced gold mining. 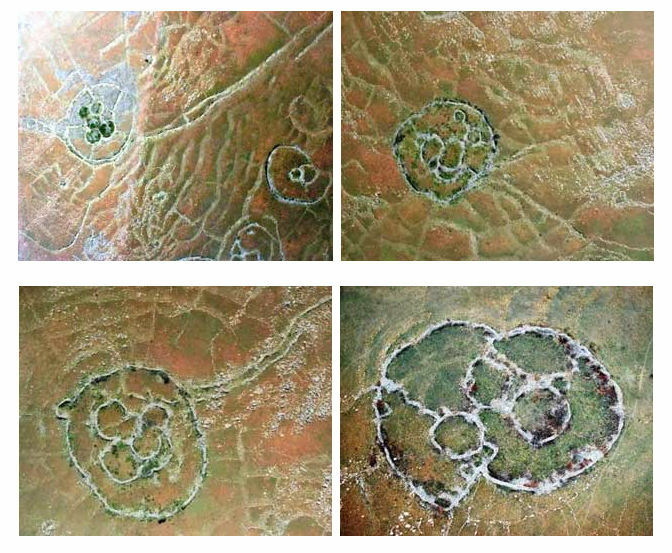 What is quite curious, no one has ever wondered about the origin and the age of these stone circles before, despite the fact that local residents have encountered them multiple times. In 2007, Michael Tellinger, researcher and writer passionate about human origins, and Johan Heine, a local fireman and pilot, decided to explore the site. Later, the results of their research inspired Tellinger to write a book titled Temples Of The African Gods. According to Tellinger, the evidence they found suggests a completely different perspective on the history of humankind. According to the conventional version of human history, the first civilization on Earth was Sumer and emerged in southern Mesopotamia about 6000 years ago. But what if there was another, earlier civilization that was then lost in the mists of time? “The photographs, artifacts and evidence we accumulated, point towards a lost civilization that has never before been and precedes all others – not for a few hundred years, or a few thousand years … but many thousands of years,” he said. Tellinger believes that this ancient African metropolis is the oldest structure built by human on Earth. In fact, he thinks that the Sumerians and the Egyptians inherited knowledge from this advanced civilization. This hypothesis is based on the fact that there are carvings of the Egyptian Ankh on the rocks of the ancient city. How could there possibly be an image of the Egyptian god thousands of years before the Egyptian civilization emerged? “These discoveries are so staggering that they will not be easily digested by the mainstream historical and archaeological fraternity, as we have already experienced. It will require a complete paradigm shift in how we view our human history,” Tellinger said. Tellinger’s findings raise more questions than answers, but we can hope that this incredible ancient city will attract more researchers in the future and that one day more light will be shed on this lost civilization and the unknown aspects of human history in general.